Frequent texting on your cell phone isn’t just for college students and others who use the service insatiably. For the deaf and hard-of-hearing (HOH) community, texting is the lifeblood of a cell phone’s usefulness. But specifically what’s available in cell phones to cater to those who are deaf or hard of hearing? The simplest answer to this question is to say that most of today’s phones (even the most basic) serve the basic need of the deaf and HOH community: texting. Texting is often commonly referred to as sending SMS (short message system) messages. Texting for the deaf is like talking for the hearing. The primary benefit of texting via cell phones for the deaf and HOH is that the compact, lightweight, convenient and affordable technology easily rests in their pockets and unshackles them from being reliant on TTY (TeleTYpewriter) technology. TTY is a specialized text telephone service whereby the conversation is typed instead of spoken. In the past, the problem the deaf and HOH community had with their cell phone service was a lack of customization to their needs. For example, a cell phone plan might cost $50 with a certain amount of minutes and then $10 extra for unlimited texting. These customers, though, wouldn’t need any of the voice minutes and would only want the texting. The money spent on voice minutes would be wasted. Cell phone carriers initially didn’t want to offer texting-only plans because those bills would earn them less recurring money. Over the years, though, fierce cell phone competition has forced some carriers to change their minds. For example, T-Mobile has packages with data only (no voice) for the deaf or HOH. T-Mobile is among the more friendly companies among the major carriers for the deaf and HOH community. In addition, “some service providers have deaf-related offerings such as captioned movie information,” according to Verywell.com writer, Jamie Berk. While any modern cell phone today offers text messaging, those with a full keypad make frequent texting more convenient and faster to perform for the deaf and HOH. The first iPhone and the iPhone 3G for AT&T, the Samsung Instinct for Sprint, various BlackBerry models and the T-Mobile Sidekick are all excellent examples of advanced phones that facilitate the fast and heavy use of texting and e-mailing. More specifically, the Sidekick 3, Sidekick ID, Sidekick LX, Sidekick Slide, BlackBerry Curve, BlackBerry 8700, BlackBerry Pearl 8100 are all recommended for the hearing impaired. It should also be noted that the deaf and HOH who wear hearing aids may experience interference with cell phones. When experiencing this adverse side effect, these consumers are recommended to keep their cell phones as far away from the hearing aid as possible. Hands-free accessories along with induction neck loops assist in this issue by lessening electronic interference. 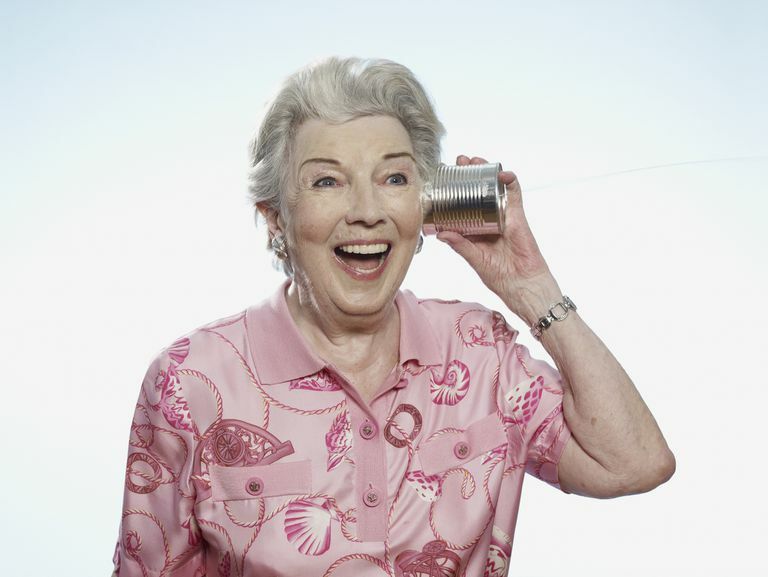 Go America specifically combats this problem by offering hearing-aid compatible (HAC) phones such as the Jitterbug. Many companies offer various accessories to assist the deaf and HOH community including Harris Communications (a “one-stop communications source” for the deaf and HOH, and United TTY Wireless. Further important reading about wireless communications for the deaf and HOH community involves the use of relay services.